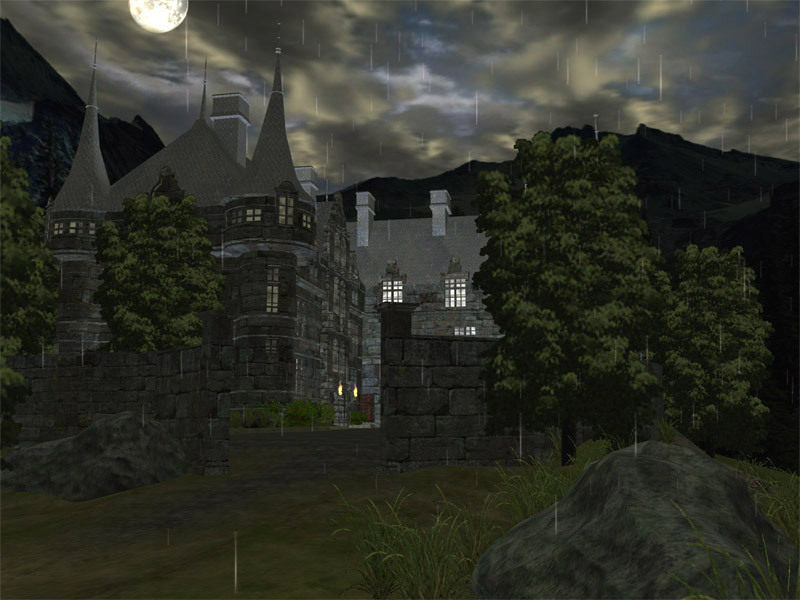 ﻿ Dark Castle 3D Screensaver – Conjure up stories of dark vampire lords living in gloomy castles. It is no secret that the modern youth just goes crazy about fantasy and horror movies. The astonishing mix of romanticism and a need for an adrenaline surge obviously allows young people to get maximum joy from following a plot filled with mysteries and expectations of something unpredictable. This is exactly the plot of the Dark Castle animated 3D screensaver that allows the user to immerse in the world of the Middle Ages and to find oneself face to face with a huge yet looking somewhat gloomy stone castle. Just as a character from such a movie should, you will start studying the situation from afar by making your way around the castle situated deep in the woods away from any signs of civilization. From time to time, thunder and gleams of lightening will interrupt your observation adding notes of mysticism and uncertainty to it. 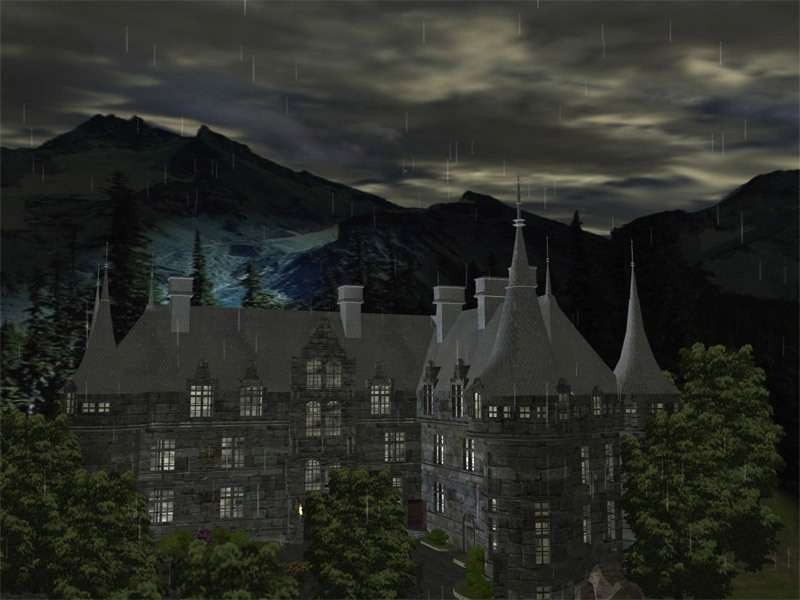 The castle looks uninhabited from a distance, but light in some of its embrasures indicates that some life is present there. This image might not be the best possible option for everyone to look at, but a person with a romantic attitude will certainly take pleasure bordering on curiosity and fear in watching the possible abode of Count Dracula. The Dark Castle animated PC screensaver is a reflection of your unconscious wish to take part in an adventure full of mystery and potential danger, the possibility of balancing between the fuss of your routine life and a world full of unknown danger. So let yourself feel what it will be like to act as a medieval knight who is in a hurry to rescue his beloved from captivity or willing to solve mysteries. 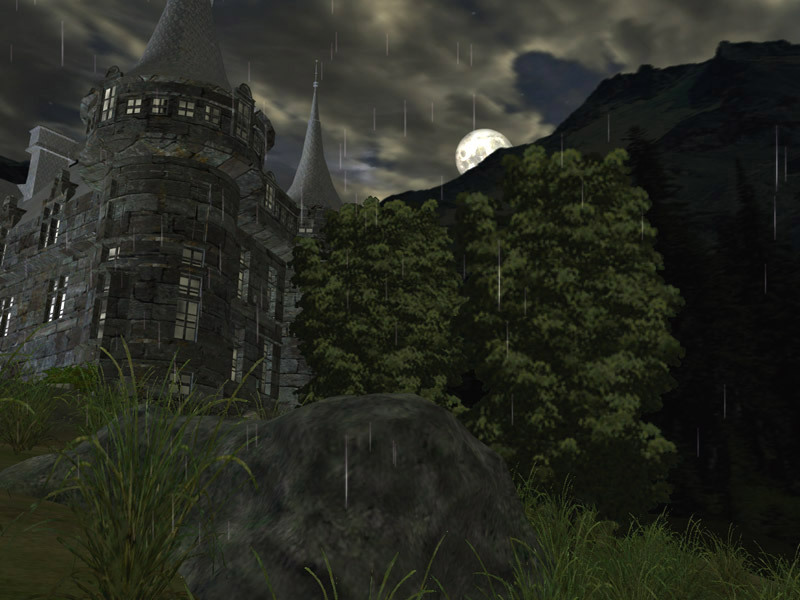 Beyond any doubt, thousands of young men and women who are fond of getting into surrealism to a certain extent in order to relieve themselves of everyday stress will take their liking to the realistic Dark Castle 3D screensaver for Windows.